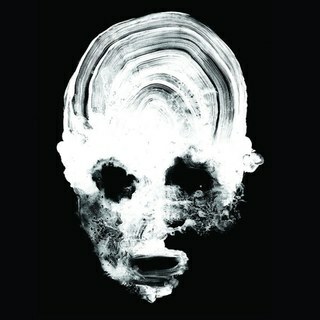 Daughters, from Providence, RI, is another band that has successfully passed under my radar since their beginnings in 2002. After getting some incredibly high praise from prominent reviewers in the music industry, and their announcement for the 2019 edition of the legendary Roadburn Festival, I decided to check it out for myself, as even though I am not very well-versed in noise-rock, I tend to see myself as a pretty curious person when it comes to new music. I was not prepared at all for what was about to hit me. “You Won’t Get What You Want” is quite unlike anything I’ve ever heard — and probably also unlike anything most people have ever heard. It will likely confuse you as it confused me upon the first listen, but like most challenging pieces of music, there is a high reward if you decide to give it the time it needs to fully open up. “City Song” forebodingly kicks things off with pitch black, cold synths, thumping bass that sounds like a racing heartbeat and shotgun-blast-sounding snare hits, before the instrumentals get all distorted and clipping as Alexis S.F. Marshall’s demented ramblings join the fray in a thoroughly unsettling start to an album, telling you right out of the gate that this record is not going to hold your hand at any point. It culminates into cacophonous, industrial noise, all the while Marshall’s crazed shouts and screams sound like being inside the head of an insane asylum patient, barking like a dog and wimping in agony as it all cuts out to silence. I quite literally did not know what to make of this the first time I heard it, seeing as it is almost as far as you can get from a catchy, ‘normal’ song, but I was still insanely captivated by what I was witnessing. And this feeling definitely continues into the second track, “Long Road, No Turns”, which carries on from where “City Song” left off, albeit with more ferocity and energy to its noisy and unwelcoming style. Lead singer Marshall’s strange and angry spoken-word delivery will probably turn a lot of people off, but it is definitely a recognisable style he’s got going that fits the deranged aesthetic at play here, even if it it did take me a few listens to completely appreciate. “You Won’t Get What You Want” is a really challenging album to get through in more ways than one. Hell, I am not even sure I completely understand what’s going on at some points on the record yet. The mood is terrifying to say the least, the noise ear-piercing, and the musings in the vocals completely psychotic, but it is also consistently interesting and fascinating to listen to and interweaved with actual gorgeous sounds. 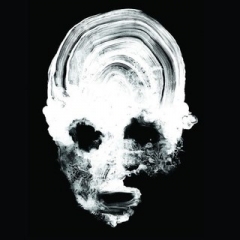 This is an album that hasn’t gotten as many spins as some of my other favourite records of the year, simply due to the fact that it’s such a demanding listen, but it is nonetheless one of the most captivating musical experiences of the year for me, effectively succeeding in drawing me into this dark, twisted world Daughters have created for themselves. If you’re into widening your musical horizons, definitely give this one a shot. You might think it’s brilliant in its harrowing noise; or you might very well think it’s just pretentious bullcrap. I side with the former opinion personally, but can also see and understand what a polarising sound this could be.